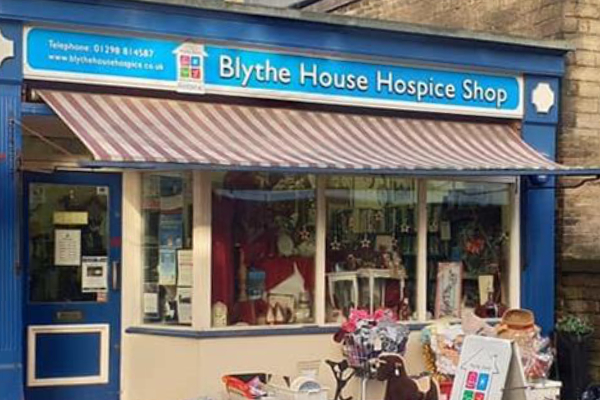 Since the opening of the first Blythe House shop in 1995 our retail department has grown substantially. 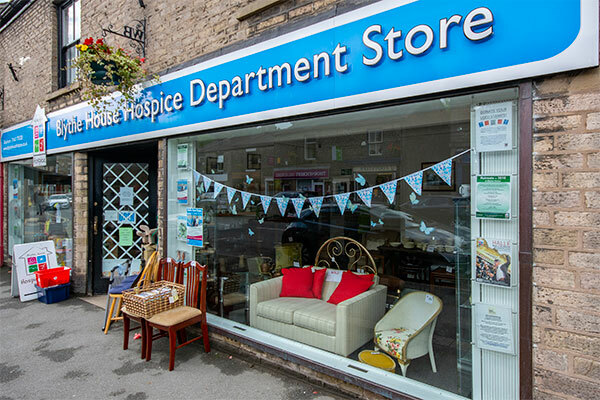 We now have four shops in the High Peak, including a department store, in Whaley Bridge, which sells almost everything; from books and CDs, to clothing, toys and a wide range of furniture. In addition to our shops in Whaley Bridge, Chapel-en-le-Frith, Buxton and New Mills, we have an eBay site selling valuables, retro/vintage items and collectables. 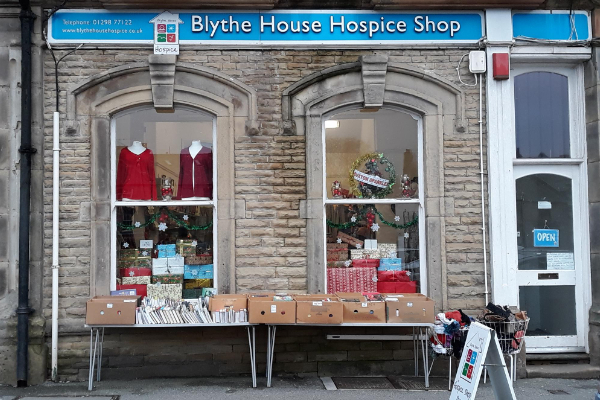 Whilst our shops primarily sell carefully selected and good quality donated items, we also have a great range of brand new stock for sale at certain times of the year, and during the festive season we sell a range of attractive, reasonably priced Christmas cards and diaries created specifically for Blythe House. 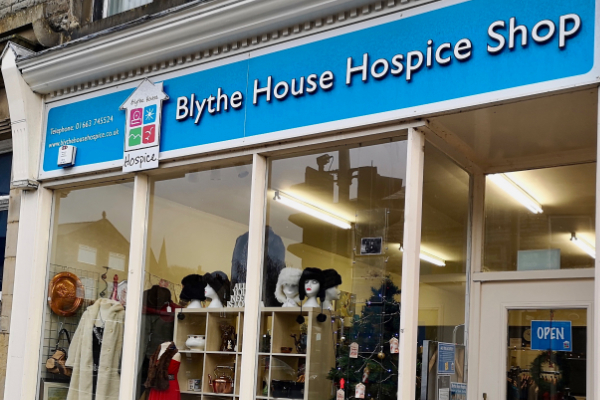 All our shops offer a wide range of quality donated goods at extremely competitive prices which generates essential funds to keep the hospice running. All above opening hours are subject to volunteer availability. If you would like to help us keep our shops open please enquire about volunteering opportunities available here. We always welcome quality goods to sell in our shops, and there are a number of ways you can donate. You can take your donations directly to any of our shops. Find your nearest one here. Alternatively if you would like to donate furniture or any other bulky items, we can collect them free of charge from your door. To arrange a collection please contact our Whaley Bridge shop: 01663 735328. There are a number of items that unfortunately we cannot accept at our retail outlets. Please see the full list here. DON’T FORGET – If you’re a UK taxpayer we can apply for Gift Aid on your donated items meaning that we can claim an extra 25p per £1 from HMRC on the price we sell them for at the Whaley Bridge shop. More information on Gift Aid is available here. eBay is the largest online marketplace and is used by millions of people every day. This platform gives Blythe House a excellent opportunity to make the most of our higher value and collectible items. The items we sell on eBay are carefully selected and in the past we have sold to customers all over the world. We auction a wide range of interesting items, from model railway goods, to retro/vintage clothing and antiques. We maintain continual listings of all kinds of items, so keep your eyes peeled for treasures. If you are an eBay seller you can also support Blythe House by donating a % of the final sale price of any item via the PayPal Giving Fund (formerly Missionfish). Every extra penny really does make a big difference to the care and support that we provide to our clients and their families.